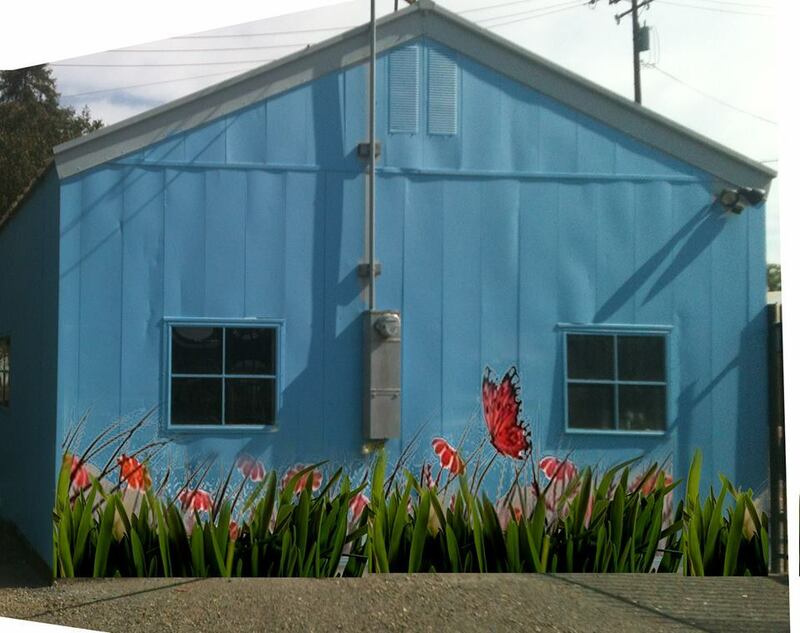 Another repeat request and commission for both Myron and Kerry, this mural was commissioned by Ace Hardware to update the building in a lot that was a Native Plants and Drought Tolerant section for the business. The request for native poppies, birds and insects gave Myron and the Davis Mural Team the idea to do a large grassland scene. With Myron, Kerry, and John, with the help of several student artists, created a whimsical but easily seen mural. Native butterflies, ladybugs, poppies and plants are sprinkled across the enlarged grassland, and the bright blue sky gives a pop to the building.